This is a tough game, you are going to have to be o your toes and on each of the levels. Hugest thanks to JustMrGarretto for letting us share Platform Party with you. Survive through the randomly picked variety of new, unique mini-games, merged together into one map. 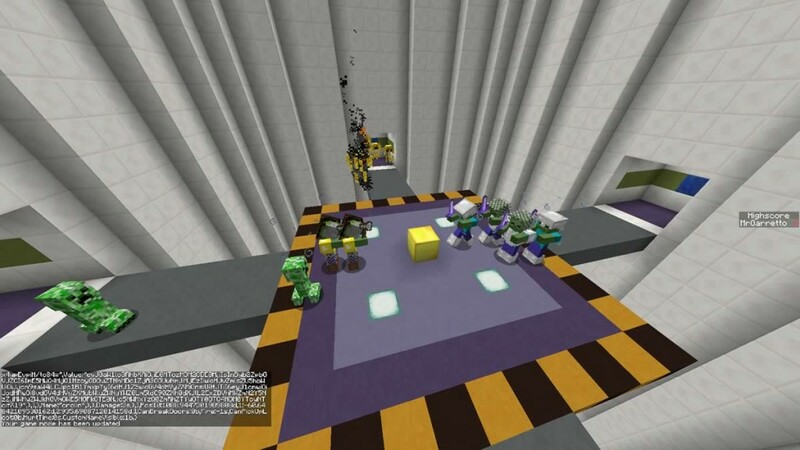 All minigames take advantage of 1.8 features, and are very different, and challenging from one-another. The main platform is customizable, along with all of the Chromofied levels! Gold Guardian – Over time, gates will open, creating more monsters, and they will also level up over time, while you use special items and powerups such as the throw-able dynamite or time freezing items. You must disable all of the gates with levers to win. Grid Hopper – Giant laser beams will swipe across the platform. If it is too high to jump over, you must duck under it. If it is low enough, you can jump over it. Chromofied – A random map is chosen, and a random color is chosen. You must stand on the color you are told, before all other colors disappear.